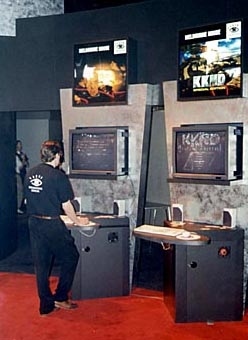 Check out the KKnD stand at E3! Beam Software / Melbourne House went to the Electronic Entertainment Expo (that's E3 to you 'n' me) in Atlanta and gosh darn we had a great time! 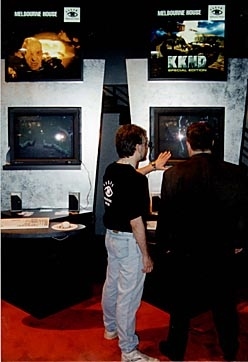 The pics you see below show the KKnD area, slapped together with no expense spared by our distributors Electronic Arts - what great guys! 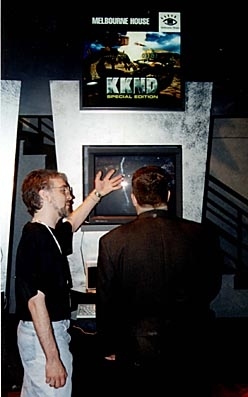 We brought with us an in-production version of KKnD Xtreme and everyone who saw it thought it was way cool. Some people just wouldn't leave our stand!